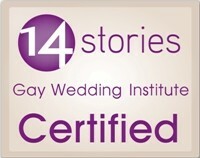 Probably the most important task in planning your wedding is the choosing the venue for the ceremony and reception. The venue has a significant impact on the wedding in terms of the theme, style, choice of flowers, decorations, suppliers and even the date of the wedding. 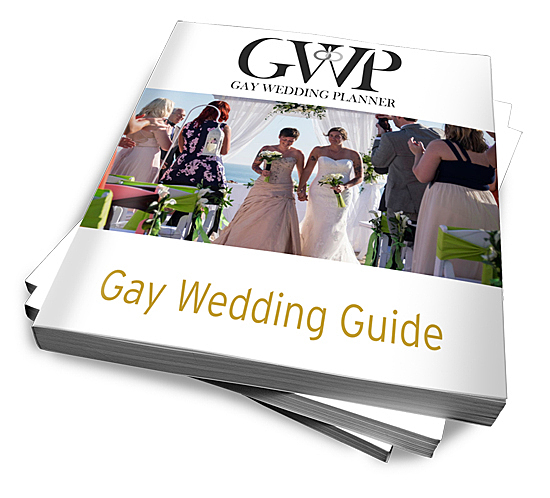 As choosing a gay-friendly wedding venue can be overwhelming, here are some tips you should consider when you look for your perfect venue. Hiring a wedding planner will make this all much easier. The first thing you need to do is to find a gay-friendly venue. There are lots of websites that provide listings to help you avoid any awkwardness with the venues. First a date should be set as some venues are more appropriate for certain times of the year. You may have a specific date in mind which is a good first step, but this could pose a problem if the venue you absolutely love is booked for that day. You may need to be more flexible, start with a month or even time of year and then be open to having further discussions about the specific date and time. You should also have a rough guest list so you have an estimate of the potential number of people coming to your wedding. The number of people you have will determine which rooms are most suitable at the venue of your choice and whether the venue can accommodate you at all. The geographic location is an important decision. You need to decide whether you will have the wedding near your family or your partner’s family, near your home and your friends, or somewhere completely different – perhaps overseas. This will have an impact on the cost of attending your wedding for your guests and the amount of time and effort required to visit short-listed venues. Even before you look around for a venue, you should have a budget for your wedding, which will include how much you want to allocate to the venue. The amount for the venue can vary depending on the day of the week or the time of year. During slower times for the venue there might be special discounts and incentives. You also need to know what is included in the cost of the venue, so you know what else you will need to spend money on. The venue may have a venue coordinator for your wedding, but they are no substitute for a wedding planner. Can you use your own decorations? Can you use your own caterer? All these questions can help you to determine if the venue is the right one for you. The venue is the heart of your wedding so making sure that it is the right will go a long way to ensuring your special day is exactly what want. A wedding planner can guide you through the critical process of choosing a venue – click here to book your free consultation. There’s a wedding venue that my husband to be have our heart set on, but I get a sense that the venue is not over the moon about us having our wedding reception at their venue. They are just being a bit difficult. It’s actually against the law to not allow you to book the venue, but being difficult is different. It’s a tricky one and difficult to say without knowing the specifics. Some people are just difficult and not very customer friendly.